I remember a saying that adults used to quote when I was young…..
To my credit I never received “The Belt” not because I was a perfect angel only because I never got caught! The plus points were way more fun with furtive kisses to steal, the innocent holding of hands, “important” secrets to be shared, wondering who you would dance with at the School Disco, the excitement of receiving a Valentine’s Card with S.W.A.L.K written on the back and if you were really lucky (or loved) a lipstick kiss! The boys played “British Bulldogs” or tried to set things on fire with magnifying glasses (luckily the Scottish Weather wasn’t conducive with fire lighting) The girls meanwhile played weird hand games, singing rhymes to go along with them, or made Cats Cradles out of string! I went to school there in 1952 , lived over that bridge , police station next door . 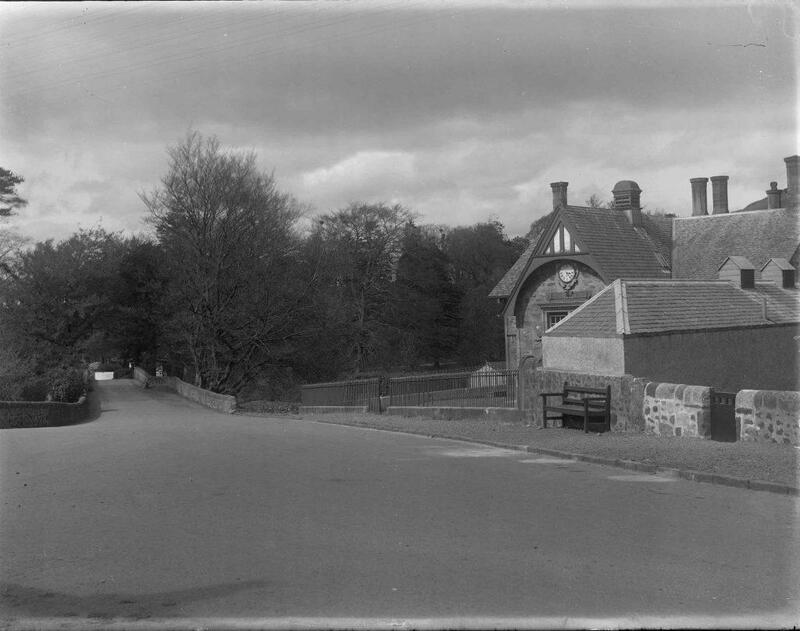 I also went to Fintry school for a year in 1953 my parents owned the tearoom opposite.